During a post-race interview following his June 7 NASCAR Sprint Cup Series victory at Pocono Raceway, Martin Truex Jr. was asked by a member of the media how he was able to keep going forward after all the adversity that’s confronted him over the past two seasons. Without hesitation Truex gave a succinct and heartfelt answer -- "Never Give Up." The "Never Give Up" saying has taken on a meaning of its own, touching Truex’s social media followers and race fans throughout the country and the world. Due to the global reaction to the slogan, Truex and his girlfriend Sherry Pollex have designed a NEVER GIVE UP wristband to help raise awareness, advocacy and research funding for ovarian cancer through the Martin Truex Jr. Foundation in cooperation with the Ovarian Cancer National Alliance (OCNA). It's been more than a year since Pollex was diagnosed with ovarian cancer. She has been a longtime advocate and fundraiser for childhood cancer research and carries the same passion in her spokesperson role for the OCNA. The cost of the NEVER GIVE UP wristband is $4 and can be ordered online by visiting www.martintruexjr.com. With September being National Ovarian Cancer Awareness Month, the OCNA will also be selling the NEVER GIVE UP wristbands at its Teal Appeal display booth during the Bojangles' Southern 500 Sprint Cup Series weekend (Sept. 4-6) at Darlington Raceway. The black and teal NEVER GIVE UP silicone wristbands carry a personal message from Martin and Sherry along with their signatures separated by a teal ribbon. The wristband will also include a card that lists the symptoms of ovarian cancer. The outside matte black finish of the wristband represents Truex's No. 78 Furniture Row Racing Chevrolet and the inside teal finish represents the official ribbon color for ovarian cancer awareness. To learn more about ovarian cancer visit the Ovarian Cancer National Alliance website at www.ovariancancer.org. Justin Wilson passed away today, roughly 36 hours after an errant piece of crash debris struck his helmet at Pocono Raceway. Sunday’s incident added yet another name to the list of racers killed in recent years; a list that is painfully, gut-wrenchingly long. Adam Petty. Kenny Irwin. Tony Roper. Greg Moore. Dale Earnhardt. 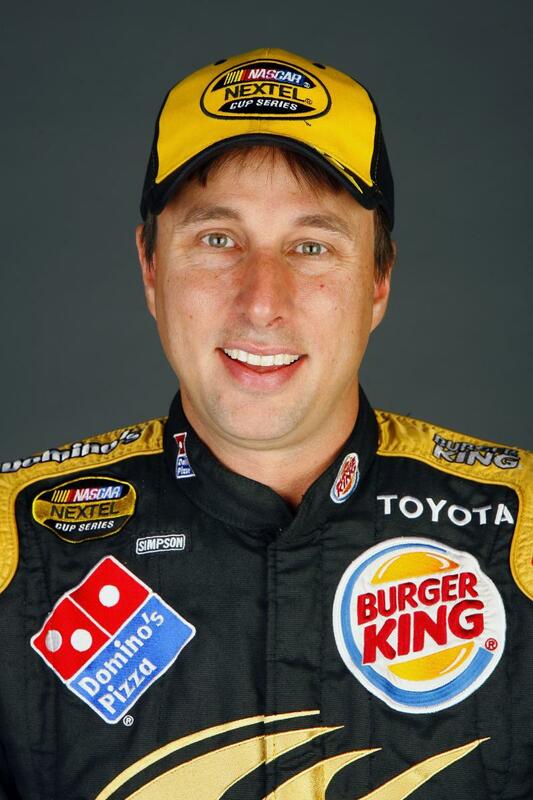 Eric Medlen. Scott Kalitta. Dan Wheldon. Jason Leffler. The names spill forth, one after another, like the endless tolling of a bell that cannot be silenced. A pall has once again been cast over our sport, leaving us to grieve the loss of a young man who rarely – if ever – was unaccompanied by a smile. Wilson was not a stereotypical Indy Car driver. At 6-feet, 4-inches tall, he dwarfed his competition physically. His talent was towering, as well. The high point of his career came in the mid-2000s, when he and AJ Allmendinger tore the Champ Car World Series to pieces. Sadly, Champ Car went the way of the dinosaurs in 2007, leaving Wilson to scrounge for scraps in Indy Car. For every season with a contending team like Newman-Haas, there were two or three with an underfunded Dale Coyne or Dreyer and Reinbold organization. Success came less frequently, as Wilson struggled to find a steady, competitive place on the Indy Car grid. Many years ago, he spoke candidly to me about the frustration of being within arm’s reach of the brass ring, without ever being able to grab it. “If I was smart, I would have given up on Open Wheel racing years ago,” he said. “There are so few teams with the resources to win races and contend for championships, and if you’re not in one of those seats, you’ve got no chance. I should have put my effort into Sports Cars five years ago. If I had, I would probably have a top-notch Daytona Prototype ride by now. I’d be racing for wins at Daytona and Sebring and Lemans, instead of struggling to be competitive here. That’s the way it works for racers. They love what they do, and they risk everything to do it. Each week, they talk themselves into climbing back behind the wheel, secure in the knowledge that while death may occasionally walk down their street, it will never knock at their door. Well, it can happen. It happened to Justin Wilson Sunday afternoon in Pennsylvania. At times like this, most of us make a conscious choice to focus on the good times; the champagne showers in Victory Lane, the celebratory burnouts and the kissing of the bricks. It's a coping mechanism that helps us find our way through the darkest of days. No matter how hard I try to accentuate the positive, however, I can’t help remembering the horror and violence of Wilson’s final moments. I also can’t help wondering if it was worth it. At this point, I’ve simply seen far too many grieving widows, too many parents faced with the unfathomable task of burying a child, too many toddlers in the front row of a funeral, blissfully ignorant of how their lives have changed forever. 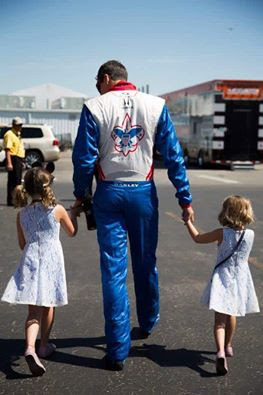 I’m sad for Justin Wilson, his family, his team, his friends and fans. Along with the sadness, however, there is an equal measure of anger. Anger that so many of my racing friends have been taken over the years. And above all, anger at the selfishness that compels otherwise sane individuals to weigh the adrenaline rush of motorized competition against the possibility of leaving a grief-stricken wife and family behind; then somehow choose the rush. Next week, I’ll accept that choice again. But today, it’s a tough pill to swallow. I’m tired of hearing people say, “He was doing what he loved to do.” That’s a load of manure. No driver loves to crash. No driver loves leaving their wife and children behind in a horrifying moment of unfathomable violence. No driver wants to die. I love this sport. But on days like this, I hate it with a ferocity that is almost beyond description. The NASCAR Sprint Cup Series may be enjoying a rare weekend off, but for the broadcasters of the Motor Racing Network, this shapes up as one of the most demanding weekends of the season. With coverage planned from two road courses in two different countries, a total of 22 broadcast professionals -- backed by an elite engineering and production team -- will take millions of listeners on a thrill ride through what promises to be one of the most exciting weekends of the season. 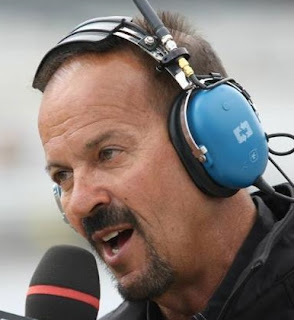 Arute, one of MRN’s original voices from the 1970s and ’80s, will be part of the talent lineup for Saturday’s XFINITY Series race from Road America. Welch, son of veteran FOX Sports NASCAR announcer Vince Welch, will join Arute and 12 others as “The Voice of NASCAR” provides exclusive radio coverage of the Road America 180 Fired Up by Johnsonville. Saturday’s race will be anchored by Joe Moore and Jeff Striegle and produced by Ryan Horn. Reporting from the turns at Road America will be Hyatt, Arute, Welch, Steve Post, Dan Hubbard, Mike Bagley, Alex Hayden, Woody Cain and Tony Rizzuti. Veteran MRN broadcaster Winston Kelley will lead the coverage on pit road, joining Glenn Jarrett and Pete Pistone. Sunday’s second half of the international NASCAR doubleheader will have MRN microphones in Bowmanville, Ontario for the Chevrolet Silverado 250 Camping World Truck Series race at Canadian Tire Motorsport Park. Sunday’s broadcast will be co-anchored by Eli Gold, who – along with Arute – became one of the network’s most recognizable voices after first hitting the airwaves in 1970. He’ll be joined in the booth by Kurt Becker, with Kendra Jacobs and Tony Bokhoven on pit road, along with Dave Moody, Kyle Rickey, Buddy Long and Jason Toy in the turns. 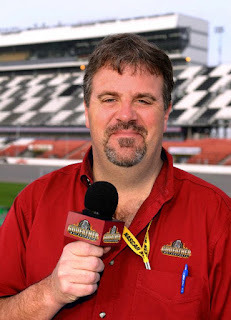 Cverage from Canadian Tire Motorsport Park will be produced by Brian Nelson. Motor Racing Network’s live coverage of Saturday’s Road America 180 Fired Up by Johnsonville will begin at 2:30 p.m. (ET). Air time for Sunday’s Chevrolet Silverado 250 Camping World Truck Series race is 1 p.m. Both events also will be streamed live at MRN.com and on the MRN App. 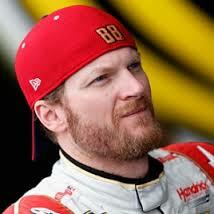 Earnhardt: :We know the rules." With the championship Chase just two weeks away, a number of NASCAR Sprint Cup Series drivers are calling on the sanctioning body to crack down on restart violations. Dale Earnhardt Jr. said Saturday night that it is time for NASCAR to begin policing its restart policies with a stronger hand, penalizing drivers who jump the green flag or pass before the start/finish line. NASCAR rules mandate that that “the leader of the race will control the restart within the designated restart zone,” and that drivers “maintain their track position/lane … until they have crossed the start/finish line.” Unfortunately, every restart is different, placing NASCAR in a position of deciding whether violations are egregious enough to warrant a potentially race-altering penalty. Bowyer: “When there are rules, you enforce them." Restarts were a major topic of conversation in Saturday night’s pre-race drivers meeting, when driver Carl Edwards questioned Sprint Cup Series managing director Richard Buck about a restart the week before at Michigan International Speedway, where he felt second-place driver Austin Dillon jumped the green flag without being penalized. Buck said NASCAR does not want to “micromanage it,” leading to a series of questions by drivers about what is – and isn’t – going to be allowed in coming weeks. Saturday night’s winner, Joey Logano, said he also has questions about what is permissible. Fifth-place finisher Clint Bowyer said he also wants the sanctioning body to be more stringent in its enforcement of restart rules. 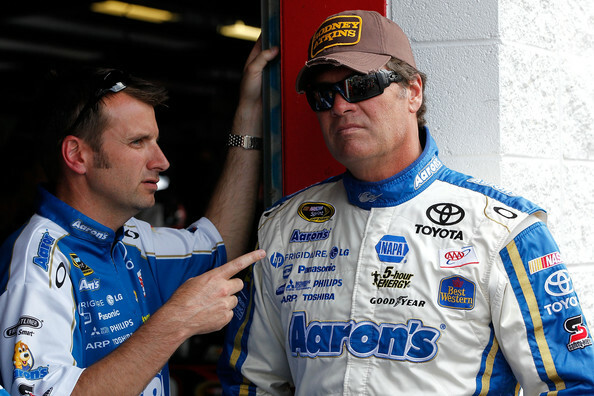 “I understand they don’t want to step in, but nonetheless, it’s a rule,’’ said Bowyer. “When there are rules, you enforce them one way or another. I know it’s a judgment call, but that’s why there’s two stripes. Earnhardt equated restart rules to NASCAR’s technical standards, saying that giving teams an inch will encourage them to take a mile. Michael Waltrip Racing majority owner Rob Kauffman met with the media today at Bristol Motor Speedway, explaining his decision to withdraw from the organization at season’s end, in favor of a new position as minority partner at Chip Ganassi Racing with Felix Sabates. Kauffman said he was also unhappy overseeing the racing side of MWR. Foremost on that “do to” list is the Race Team Alliance, an organization of major NASCAR team owners which Kauffman heads. Since its founding in 2014, the RTA has worked extensively on ways to save teams money, and recently engaged in the first of a series of conversations with NASCAR aimed at implementing a franchise-based ownership platform in the sport. “The Race Team Alliance has been a great development over the last year or so,” said Kauffman. “We’ve gone from nowhere to a real counter-party for people. We’ve been able to make real good progress on a variety of levels around the sport, and it’s an honor and a privilege to be chairman of that organization. My fellow team (owners) have asked me to serve on that. I am happy to do so and maybe have a little more time to focus on it. Kauffman also said the 2013 scandal involving the manipulation of race results at Richmond International Raceway – a controversy that resulted in the loss of sponsor NAPA Auto Parts and driver Martin Truex, Jr. – dramatically impacted the team’s ability to survive. In the end, though, Kauffman said it was the team’s inability to win races and contend for championships that convinced him to walk away. “As we got into the late spring – April and May – of 2015, from a performance standpoint, the company was not where it needed to be. That forced some decisions and thought processes over the summer, and that’s where we wound up today. Alex Tagliani will drive Brad Keselowski Racing’s No. 29 Cooper Standard Ford in the August 30 NASCAR Camping World Truck Series race at Canadian Tire Motorsports Park in Bowmanville, Ontario. Tagliani made his Truck Series debut in 2014 at the 2.459-mile Canadian road course behind the wheel of the team’s No. 19 Reese Towpower Ford. He won the pole in his first start and made it look easy, capturing the top starting spot with a lap (80.558 seconds) that was both a track record and a whopping .433 seconds better than the second place starter. The Montreal native had such an enjoyable experience last year that he jumped at the chance to return to the Truck Series with BKR. "I really enjoyed driving the truck because it was so well prepared by the team," Tagliani said. "A big part of racing is the chemistry. This was so unique because of everyone's attitude at BKR. By the time qualifying was over, I felt like I had been working with the team for years." Tagliani has seven NASCAR Xfinity Series starts in seven seasons dating back to 2009. He enters the NCWTS event at Canadian Tire Motorsports Park on the heels of a strong performance at Mid-Ohio Sports Car Course where he won the pole and finished second after leading 38 of the event's 75 laps. He also has 32 starts in the NASCAR Canadian Tire Series over the past seven seasons. In June, he grabbed his second victory in the series in dominating fashion, lapping the entire field while leading 193 of 300 laps at Sunset Speedway in Ontario. His other victory in the series came on the road course at Edmonton City Centre Airport in 2008. 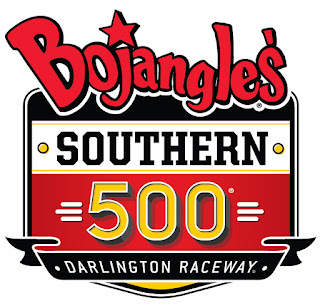 MRN, Darlington Team For "Bojangles Southern 500 Throwback Week"
Two iconic NASCAR brands – Motor Racing Network and Darlington Raceway – will team up later this month to kick off a week-long celebration of the return of the Bojangles’ Southern 500 to Labor Day weekend. 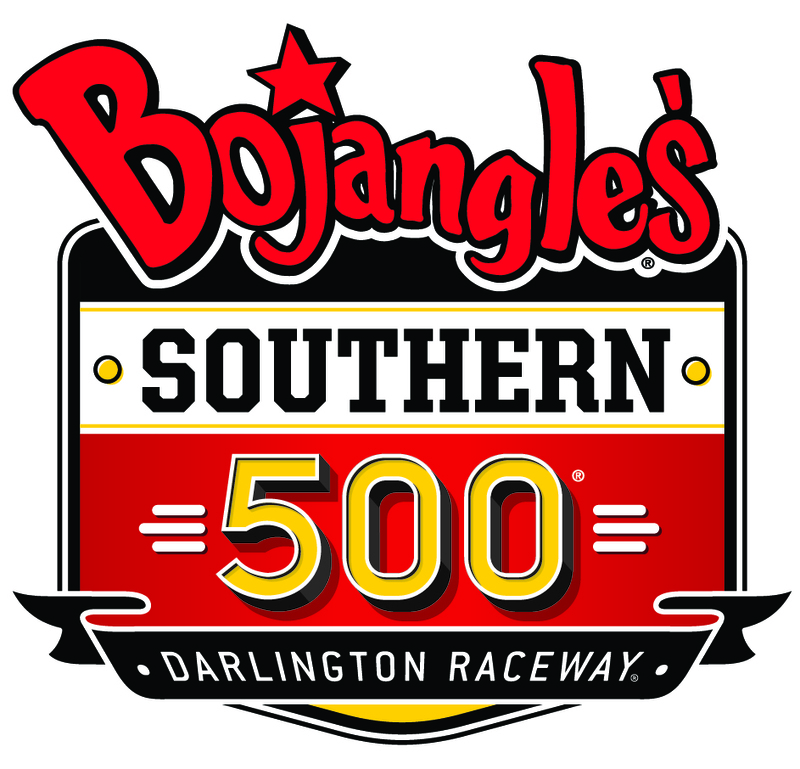 Starting on Sunday, Aug. 30, “Bojangles’ Southern 500 Throwback Week on MRN, Presented by STP” will take fans on a day-by-day stroll back through history and also move them forward to the Sept. 6 Bojangles’ Southern 500 – the first time since 2003 that the legendary race will be run Labor Day weekend. Special programming will feature some of the familiar names that helped make Motor Racing Network “The Voice of NASCAR” since it first hit the airwaves in 1970, including Barney Hall, Ned Jarrett and Jack Arute. The Tuesday, Sept. 1, edition of “NASCAR Live” will feature some of the greatest moments in Bojangles’ Southern 500 history, hosted by Eli Gold with first-hand accounts from the drivers who made those memories. For the race broadcast on Sunday evening, Sept. 6, theme music from the MRN archives will open the network’s coverage of the Bojangles’ Southern 500. Air time is 6 p.m. (EDT). Throughout the week leading up to the race, stories from the drivers who’ve etched their names into Darlington’s storied past will be featured at www.MRN.com, including “Million Dollar Bill” Elliott, Jeff Gordon and Terry Labonte, who won the last Labor Day running of the Bojangles’ Southern 500 on Aug. 31, 2003. Such is the case today with Michael Waltrip Racing. MWR announced this week that it will sever ties with driver Clint Bowyer at the end of this season, freeing Bowyer to drive for another team. In addition, the organization confirmed that it will not field a full-time Sprint Cup Series entry in 2016 – for the first time in nearly a decade -- with majority owner Rob Kauffman planning to purchase an ownership stake in the rival Chip Ganassi Racing with Felix Sabates team. How did things go so horribly wrong? What took MWR from a championship-contending team to the brink of closure in less than 24 months? In hindsight, a number of questionable decisions appear to have contributed to the team’s demise. The fledgling organization staggered out of the starting gate, with the now infamous 2007 “rocket fuel” controversy at Daytona International Speedway. MWR came to the World Center of Racing that year as a brand-new Cup Series race team, with no owner points from the previous season to fall back on. In an effort to ensure they’d be a part of the “Great American Race,” the team added something special – and decidedly illegal – to their fuel tank. Though never officially identified, sources say the ingredient in question was propylene oxide, a substance that increases oxygenation and boosts horsepower. It earned MWR the largest penalty in the history of the sport; a $100,000 fine, the loss of 100 championship points and indefinite suspensions to crew chief David Hyder and Vice President of Competition Bobby Kennedy. That decision continued to plague the team in subsequent weeks. With negative championship points in their column and no guaranteed starting spots, Waltrip, Dale Jarrett and David Reutimann missed nearly as many races as they qualified for. Waltrip failed to qualify a whopping 19 times that season, Reutimann missed the cut eight times and Jarrett (a former series champion) posted 12 DNQs. The team also struggled in the races they did make, recording 20 DNFs, most due to engine failure. MWR paid a heavy price for its mistakes. Sponsors Domino’s and Burger King departed at season’s end, and sources say the team was in danger of folding until Kauffman, a billionaire hedge fund investor, purchased majority ownership and provided a much-needed infusion of cash. Despite keeping the financial wolf from the door, Kauffman’s arrival could not save Michael Waltrip Racing from yet another bout with on-track controversy. In 2013, the team attempted to manipulate the outcome of the final regular-season event at Richmond International Raceway, with disastrous results. Bowyer’s 5-Hour Energy Toyota spun while running alone with just seven laps remaining, necessitating a final restart that allowed teammate Martin Truex, Jr. to race his way into a Chase-qualifying position. 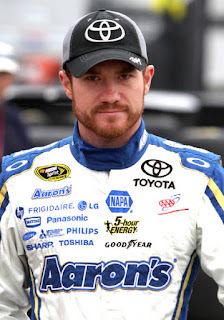 At the same time, teammate Brian Vickers was ordered to pit road just as the race was set to restart, despite having no apparent mechanical issues. That pit stop, which inexplicably took two full laps to complete, also dropped Vickers behind Truex in the running order, further cementing Truex’s spot in the Chase. NASCAR investigated and uncovered a virtual tsunami of evidence against the team, prompting them to remove Truex from the Chase and hand down a $300,000 fine; once again the largest in the sport’s history. The sanctioning body also suspended general manager Ty Norris indefinitely, docked all three drivers 50 championship points and placed all three crew chiefs on probation. 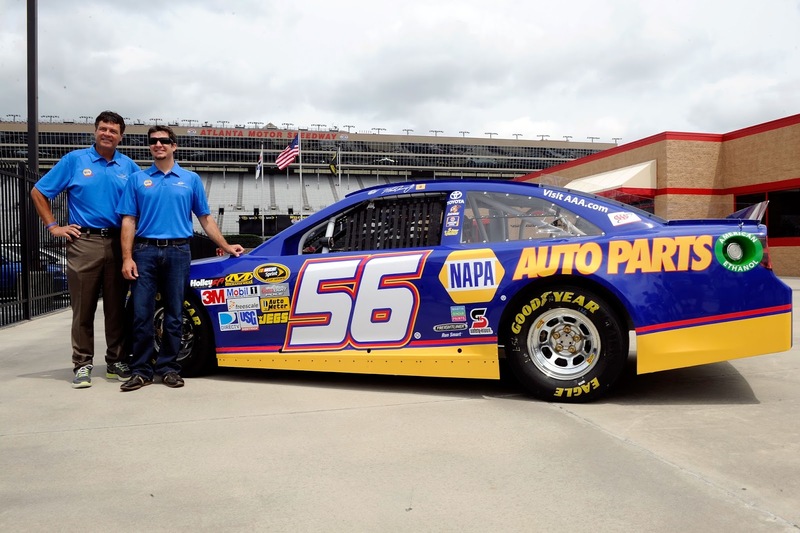 That damage was compounded weeks later when NAPA Auto Parts – one of the few full-time sponsors remaining in the sport – ended their relationship with MWR, saying they "believe in fair play and do not condone actions such as those that led to the penalties assessed by NASCAR." For the second time in its relatively brief tenure, MWR paid a high price for flawed decision making. While the 2007 and 2013 controversies get a lion’s share of attention from NASCAR fans, MWR has also made other choices that – in hindsight – may have helped hasten their downfall. 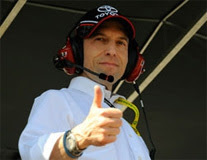 Unlike Hendrick Motorsports, Joe Gibbs Racing, Stewart Haas Racing and Team Penske -- who achieve success by hiring the best drivers available, running them full-time and allowing them to cultivate solid, long-term working relationships with their teams – MWR has rarely enjoyed a stable, consistent driver lineup. In their inaugural season, MWR fielded three cars for five different drivers; Waltrip, Jarrett, Reutimann, Terry Labonte and PJ Jones. In 2008, Reutimann, Michael McDowell, Jarrett, Waltrip, AJ Allmendinger, Marcos Ambrose, Mike Bliss, Mike Skinner and Kenny Wallace all turned laps in MWR equipment. That’s nine men and just three steering wheels, an approach that makes long-term success difficult (if not impossible) to come by. 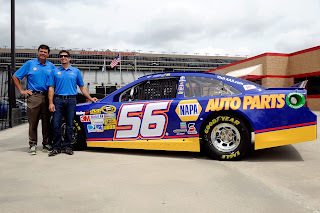 The team found a measure of stability in 2009, with Reutimann returning for a full schedule in the #00 Aaron’s Toyota, while Waltrip (34 starts) and Patrick Carpentier (two) shared time in the #55 NAPA car. In 2010 and 2011, Reutimann and Martin Truex, Jr. ran full schedules, with Waltrip making just four combined starts at Daytona and Talladega. That stability proved short-lived, however, as in 2012, MWR rolled through a five-man rotation that included Bowyer – replacing the unceremoniously ousted Reutimann – and Truex running the complete schedule. Mark Martin signed-on for a limited slate of 24 races, with Vickers (eight races) and Waltrip (four) also seeing time. The 2013 season produced more of the same, with full seasons for Truex and Bowyer, plus a 15-race schedule for Martin. Vickers was forced out of the #55 Aaron’s Dream Machine in October by blood clots in his legs, hands and lungs, with Elliott Sadler making four late-season starts in his place. Waltrip made another three. A healthy Vickers returned in 2014, and he and Bowyer ran full schedules while Waltrip made his customary four superspeedway starts in a new, #66 Toyota. Jeff Burton (two races) and youngster Brett Moffitt (one) also drove the #66 machine that season. 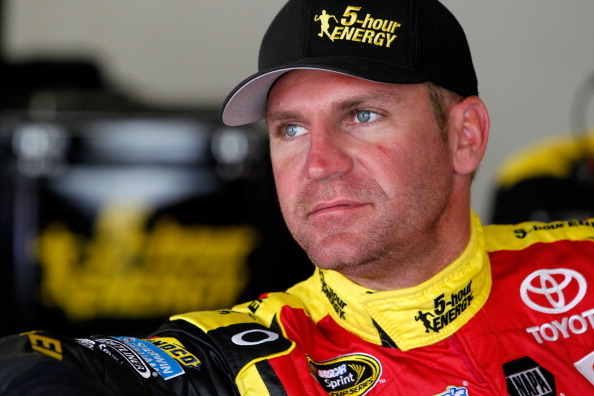 This year, Bowyer has clung doggedly to a berth in the postseason Chase. He is currently 15th in the championship standings – the last man to qualify on points – with one Top-5 and nine Top-10 finishes in 23 starts. Unfortunately, the team once again lost Vickers to a recurrence of blood clots after just two races, forcing Moffitt (six starts) and Waltrip (two) to fill the void until David Ragan came aboard at Kansas in early May. All told, 10 different drivers have driven for MWR in the last five seasons. While Vickers’ health is partly to blame for that statistic, Waltrip’s insistence on extending his own driving career with annual outings at Daytona and Talladega has also played a role. Another poor decision, resulting in a crippling lack of stability. In addition to keeping its teams in a constant state of flux, MWR’s revolving-door driver lineup also cost the organization one of the most talented crew chiefs in the business. 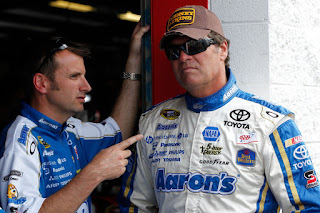 After years of fielding competitive cars for a dizzying roster of part-time drivers, crew chief Rodney Childers left the Waltrip camp at the end of 2013 to accept a position with Stewart-Haas Racing. 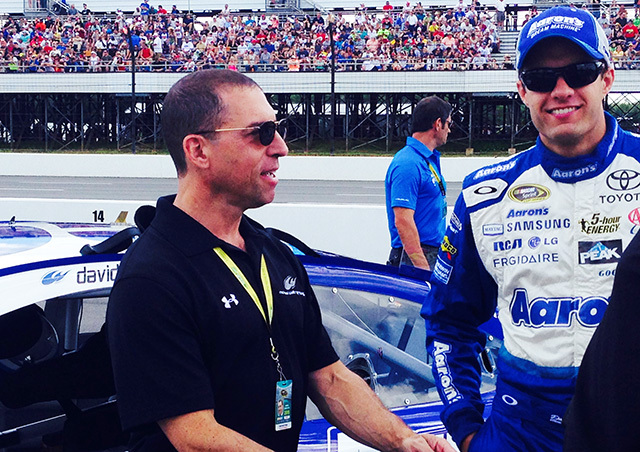 He promptly led Kevin Harvick to the Sprint Cup Series championship, and is now recognized as one of the top crew chiefs in the sport. Could MWR have performed better in the last two seasons with Childers calling some of the shots? You bet they could, and his track record indicates that they would. MWR has also made questionable decisions in its handling of Vickers, who missed parts of the 2010, 2013 and 2015 seasons. A former champion in what is now NASCAR’s XFINITY Series, Vickers has three career Sprint Cup wins in a 13-year career that includes stints with Hendrick Motorsports, Red Bull Racing and MWR. The North Carolina native is a proven racer and an outstanding representative for his sponsors. But in professional sports, the most important ability is availability. Every time Vickers falls by the wayside, his sponsors suffer the consequences. Marketing campaigns are scrapped and in-store signage is discarded, in favor of patchwork campaigns with substitute drivers they never bargained for. As the old saying goes, "Once is an accident, twice is a coincidence, three times is a trend." 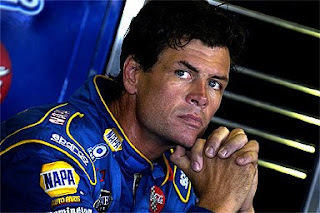 Michael Waltrip Racing should not have subjected an active, involved and supportive sponsor like Aaron's to yet another season of uncertainty and disappointment. Vickers, despite his talent, was just too big a risk. Again, mistakes were made, with a heavy price paid. Sources close to the team say that after experiencing three consecutive disappointing campaigns, Aaron’s had agreed to only a partial 2016 season with MWR, significantly downsizing their involvement with the organization. Also critical in the demise of Michael Waltrip Racing was a lack of daily involvement by its namesake. Multiple sources say that after Kauffman joined the team in 2007, Waltrip’s role – both financially and otherwise – decreased dramatically. Today, he is said to be little more than a figurehead, tending to his “other career” in the television broadcast booth and relying on it for virtually all of his income. Following the 2013 race-fixing scandal, Kauffman relocated to North Carolina and began a systematic review that resulted in widespread organizational changes. "If you lose a third of a third of your revenue, you are going to have to reorganize your business,” said Kauffman at the time. “That's what we've done. We made a mistake, we paid a heavy price and we are adjusting to a new reality." Since then, Kauffman has handled virtually all the day-to-day operations at Michael Waltrip Racing, a role insiders say he never wanted and does not enjoy. “Rob saved this team at least twice since 2007,” said one team member, on the condition of anonymity. “Without his financial input, the doors would have closed years ago. At first, he was a `silent partner,’ contributing financially but allowing the racing people to run the team. But over time, he has been forced to assume a larger day-to-day role. Today, he makes virtually all the decisions. Kauffman’s decision to purchase a minority stake in Chip Ganassi Racing with Felix Sabates will allow him to focus more fully on the RTA, while devoting less time to the operation of an individual race team. When MWR and Bowyer announced that they will part company at the conclusion of 2015, the wording of the announcement left an impression that Bowyer will not accompany Kauffman to Chip Ganassi Racing next season. 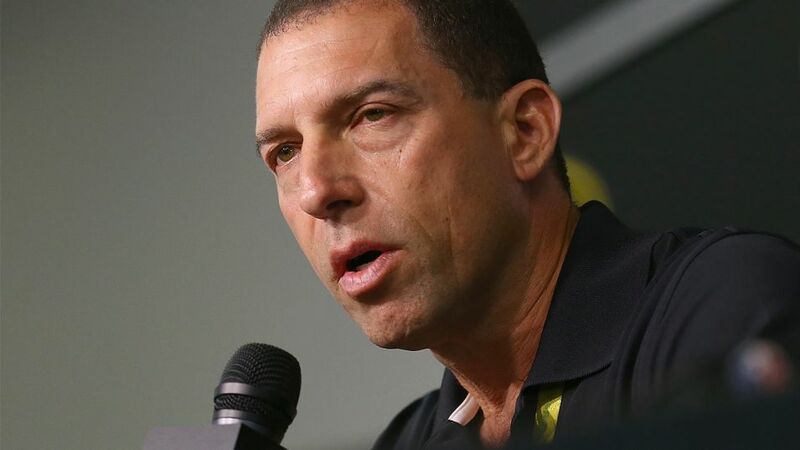 Sources say that is still a possible outcome, but whether or not Bowyer eventually accompanies Kauffman to CGR, yesterday’s announcement was a necessary legal maneuver; an official and mutual severance of the existing contract between Kauffman (as owner of MWR) and Bowyer. With that contract now rendered null and void, Bowyer is free to follow Kauffman to CGR in 2016, or go elsewhere. MWR, meanwhile, will play out the string, fielding cars for Bowyer and Ragan for the remainder of the year. The team has not visited Victory Lane since Vickers claimed the checkered flag at New Hampshire Motor Speedway in 2013, and this week’s upheaval will do little to help change that. While the team says only that they will not field a full-time NASCAR Sprint Cup entry in 2016, the most likely scenario is for Kauffman to simply close the doors at season’s end, selling the building, race cars and any equipment that cannot be utilized by CGR. Waltrip will return to the television booth, while hundreds of MWR crew members and employees face the prospect of a holiday season with no jobs and no income. 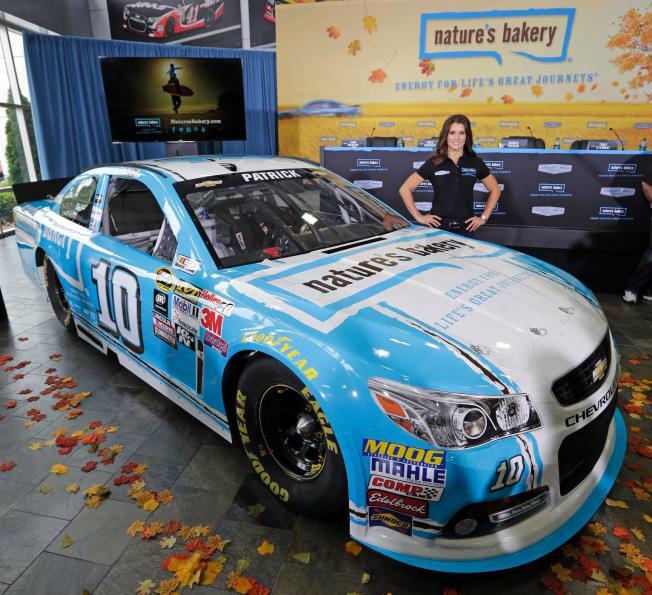 Nature’s Bakery, a snack and food brand headquartered in Reno, Nevada, has joined Stewart-Haas Racing as primary sponsor of Danica Patrick and the No. 10 NASCAR Sprint Cup Series Chevrolet, beginning in 2016 season. The multiyear sponsorship agreement will see Nature’s Bakery and its signature tagline, “Energy for Life’s Great Journeys”, adorn Patrick’s No. 10 Chevrolet SS in 28 races each season. Nature’s Bakery was founded in 2010 by the father-and-son duo of Dave and Sam Marson, with a mission of making delicious, convenient, on-the-go snacks that complement health-conscious living and active, everyday lifestyles. Their lineage in the food industry can be traced back to the 1960s when Dave’s father, Richard Marson, opened a family bakery. Growing up in the bakery, Dave passed his passion and skills along to his son, Sam, whereupon the two combined their knowledge and entrepreneurial spirit to form Nature’s Bakery. 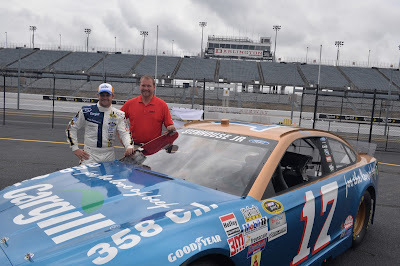 Ricky Stenhouse Jr. and his Roush Fenway Racing/Cargill Beef Ford team unveiled a “throwback”paint scheme for the Labor Day weekend running of the Bojangles Southern 500 at Darlington (SC) Raceway. The package honors NASCAR Hall Of Famer David Pearson, who remains the winningest driver at Darlington with 10 career trips to Victory Lane. The gold and blue paint scheme that will run on the No. 17 Roush Fenway entry in Darlington is the scheme that Pearson drove to two Grand National Championships in 1968 and 1969 for Holman Moody. Two of his 10 Darlington wins were also with the gold and blue Torino in 1968 & 1970. Michael Waltrip Racing and Clint Bowyer announced today that they have agreed to separate at the conclusion of the 2015 NASCAR Sprint Cup Series season. MWR will continue to field the No. 15 and No. 55 Toyotas for the remainder of the season, but will not field a full-time NASCAR Sprint Cup entry in 2016. Kauffman commented on that decision today, saying it “was made after weighing several different options and scenarios. I felt it was important to make an announcement as soon as we had clarity. Widespread reports have both Bowyer and Kauffman joining Chip Ganassi Racing with Felix Sabates next season; Bowyer as a driver and Kauffman as minority owner. CGR confirmed last month that Kauffman had agreed to acquire an interest in the team, but Sabates said recently that the deal is not yet complete. “We don't have anything concrete," he said. "We'd like to do something with him, because I think he can add a lot to our team. (But) we don't have anything signed." Today’s statement is believed to be the first step in terminating Bowyer’s existing contract with MWR, clearing the way for him to accompany Kauffman to the Ganassi camp in 2016. That move would leave Waltrip without a majority stakeholder, while reducing his former three-car team to a single entry; the No. 55 Toyota. Multiple sources say longtime backer Aaron’s was likely to return in only a limited capacity next season. 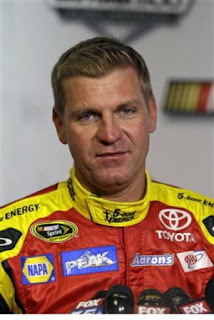 Waltrip commented on his team’s withdrawal from the NASCAR Sprint Cup Series, saying, “Rob joined MWR in 2007 and has helped give us the resources to build a competitive race team and in 2012, Clint Bowyer took us to the doorstep of a championship. From where MWR started behind my house in Sherrill’s Ford to winning Sprint Cup races, poles and earning Chase berths, I am proud of what we accomplished. Ward's Mother: "We Want Stewart Accountable"